Jason Wisdom knows a thing or two about touring. Previously the bassist/vocalist of Becoming the Archetype, he spent a ton of time out on the road from 1999 to 2011. 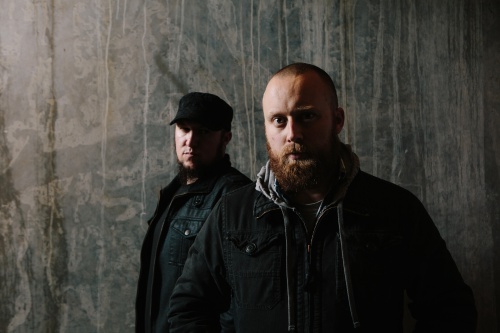 These days, Wisdom is one-half of Death Therapy, an industrial-like act that is gearing up for the release of their debut album, The Storm Before the Calm. Since he'll be back on tour in support of the album this year, Wisdom decided it was about time someone wrote a list for local bands to follow in the future. If you've ever toured before, most of these will hit home for you. 1. Leave right after they finish playing, and take all of their friends/fans with them. At 7:00pm you shake the hand of the touring headliner, smile, and say, "We are so stoked to play with you guys. We can't wait to see you guys play!" But at 10:00pm, just as the touring package is about to take the stage, you and your band are nowhere to be found, and all of the energetic fans who rocked out during your set have also gone missing. Face it, you're a bad person. Plain and simple. 2. Play for longer than 30 minutes. If you have more than 30 minutes of music that people actually want to hear, that's awesome, but save it for when you are headlining. A lot of albums aren't much more than 30 minutes long these days. No one needs to hear every song you have written right before hearing three other bands play every song they've ever written, only to then pass the microphone to an exhausted touring band who will play after midnight for almost nobody because everyone left or died of boredom. 3. Talk for long periods of time between songs. Just like the last one, if you have something to say—something that you are certain people need to hear—and it takes more than a few seconds, that's great, but save it for when you are the headliner. Oh, sure, you might think, "It's no big deal, it's just a few minutes." But when you combine five local bands who all decide to rant for a few minutes about the potential health benefits of boycotting processed artichoke—it's torture. Stop. If you are a local opener and you are getting paid anything, you should be grateful. Don't get me wrong, if the promoter guaranteed to pay you a certain amount, and he/she doesn't, you have a right to be irritated. But walking around griping about how you aren't getting paid enough, or how you don't think the touring bands deserve to get paid when your band is drawing more than them—that's just annoying and ignorant. Most of the bands on the road consider it a huge success if they end their tour and only lose a few hundred dollars. Stop complaining. 5. Complain about their time slot. Just play when it's your turn. Don't cry because you have to play first. Don't whine because you have to play last. Both slots have their ups and down. Just play when it's your turn. Seriously. That's all I have to say about that. 6. Take a long time setting up. It's 7:00pm on a Tuesday night, and there are 25 people at the show. But the second opening band is loading two full stacks, five bass cabs, a 50-piece drum kit, and nine bajillion guitars onto the stage for what looks to be a 48-hour marathon super set. I get it, Guitar Center was running a 0% interest promotion on the Gear Card. But stop the madness. Please. 7. Take a long time breaking down. Just get off the dang stage. Stop high-fiving the four people who came to see you and signing autographs for your girlfriend. Get. Off. The. Stage. 8. Take up a lot of space in the merch area. The venue is a 10' × 10' meat locker—barely enough room for a drum set—but the local band still sets up three circus tents for their merchandise display. No one buys any of their merch. Fortunately, the cotton candy is outstanding. "I just want to shout out to the guys in Hammerface and Black Rhombus, let's all give them a hand!" Stop it. It's corny and unnecessary. And let's face it, they left immediately after their set anyway. 10. Ask to borrow gear from the touring act. Go to any indie rock or metal show and take note of who has the newest, best, name brand, and most expensive equipment. It usually isn't the touring bands. Don't get me wrong, sometimes things break, and in a pinch you need something. I get it. But it can be a little unnerving when the guitar player for the second local band wants to share a rig and then walks up on stage with a $10,000 guitar. Hasn't he heard that Guitar Center is offering 0% interest on the Gear Card? Seriously, though, bring your own baseball glove to the game, or you don't get to play. It's that simple. Jason Wisdom is one-half of Death Therapy. 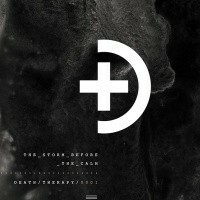 The duo will be releasing their full-length debut, The Storm Before the Calm, via Solid State Records on February 24. You can pre-order the album directly from the label at this link.